This Toxic Persian from Reese Weiland features an exquisite blued Damascus steel blade with hollow grinds and an upswept tip. 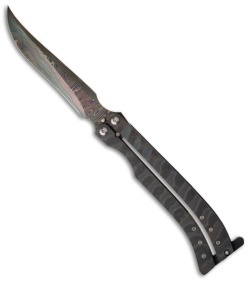 The handles are finely sculpted flame anodized titanium with black G-10 back spacers and latch. This Reese Weiland custom balisong has first-class fit and finish. 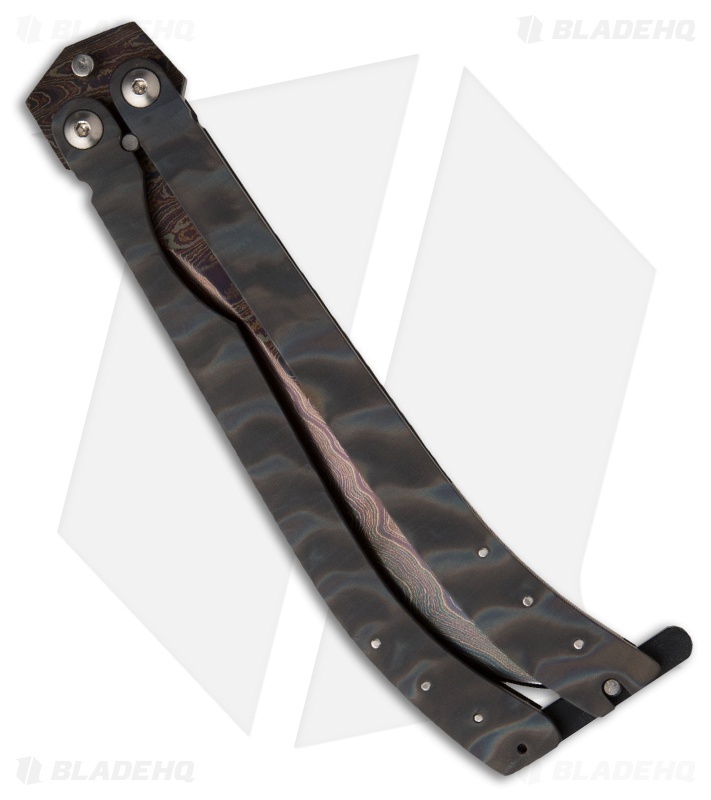 Pictured above is the actual knife for sale!